Here in the Ahern household, we take this holiday pretty seriously. Not only because of our Irish roots, but also because both of our kids came home from the hospital on St. Patrick's Day after their birth! 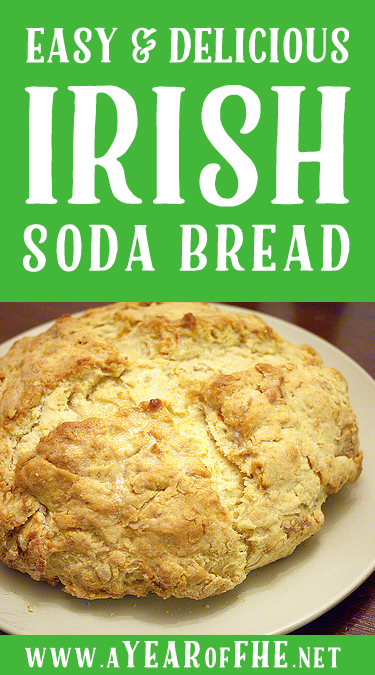 My Ahern Irish Soda Bread Recipe. It's quick, easy and delicious! If you're not a bread maker don't worry! There's no yeast and it's goof proof! It's basically one, huge, delicious, biscuit. It goes great with soup or stew. Make it tonight! 3. Pat dough into a round about 6 inches in diameter and 2 inches high; place on greased or parchment-lined baking sheet or in cast-iron pot, if using. Place the loaf on a cookie sheet and cut a cross shape into the top. 4. Bake at 400 until golden brown and a skewer inserted into center of loaf comes out clean or internal temperature reaches 180 degrees, 20 to 30 minutes. Remove from oven and brush with melted butter. Note: this bread is always best warm. When it cools it loses some of its magic - so make it right in time for dinner! 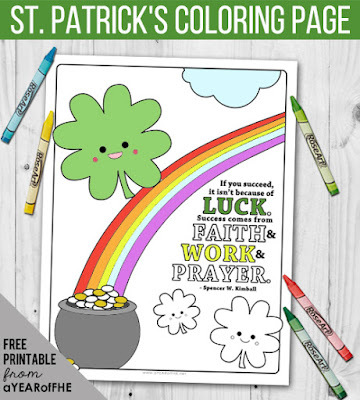 Don't forget to grab this cute St. Patrick's Day coloring page for your kids!